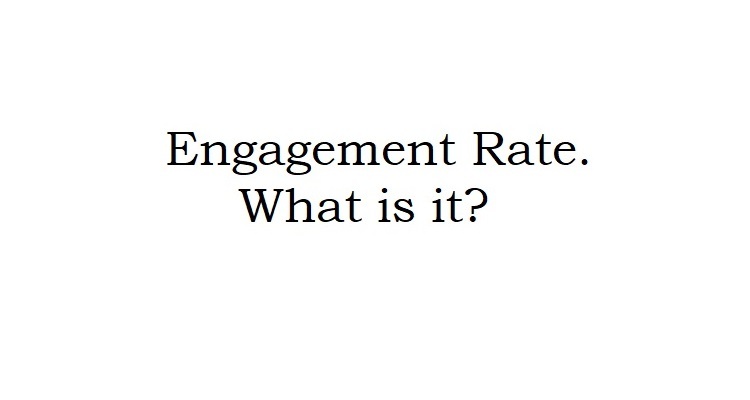 Engagement rate (ER) is a very popular topic for discussion in the recent years. Options for measuring it can be a mass, and everything depends only on your imagination. The most popular version of counting ER per post is the average involvement per publication. How to calculate Engagement rate? Engagement rate = (the number of likes + the number of followers) *100% / the number of followers. ER can be considered as some averaged value of how your audience reacts to the activities you perform, and let’s agree to count it by some particular post. However, this approach can turn out to be unrepresentative for assessing the quality of content and subscribers of the account in total, so usually likes and comments are considered for the last 10-20 publications. There are services, which calculate ER automatically, but they also introduce some correction coefficients, so you shouldn’t be surprised seeing different values of ER calculated with a help of different applications. Different tools can also be based on different formulas for calculating ER, for example, some service would divide the average number of comments by two, and other will use different coefficients for rounding the obtained number. What should you know about ER? There is no right or wrong method for calculating it. In the end, ER is some empirical coefficient to check how active subscribers of some particular account are. It’s also important to know that each social network has introduces its own algorithms for promotion. They are kept in secret, though, experience of SMM experts can tell us what actions to take in order to perform better. The analysis of these same mechanisms shows that mere number of subscribers is not enough. Reach has become a much more important parameter. You can have a huge profile of several hundred thousand users, but if you do something wrong, it’s reach can be the same as of some account with 10,000 subscribers. It means that if a while back we spent money for gaining the subscribers, then now we have to invest our resources in communication with them. Engagement rate = (the number of likes + the number of comments) *100% / Reach. This is a more fair formula, representing the real interest of your subscribers in your content. As the number of your subscribers grows, it's hard to keep high ER value. 10% for an account with a few thousands of subscribers is a very good result, and at the same time 5% for an account of a few dozens of thousands of subscribers is incredibly high, and very hard to reach. The decrease of the quality of your audience (for example, a big number of massfollowers, who don’t even check your content, or a big percent of bots). Descending interest to the content you are posting. There can be other technical issues, such as wrong timing for publications, certain mistakes in cleaning your account from bots, changes in your activities, etc. That’s why we strongly advise you to do it through Leogram experts, who know how to take right steps to improve your account’s ER. Read our other articles, and learn more about how Instagram works.